Development of new therapeutic strategies is becoming increasingly important to overcome tamoxifen resistance. Recently, much interest has been focused on anti-tumor effects of metformin commonly used to treat type II diabetes. Increased protein expression and signaling of epidermal growth factor receptor (EGFR) family is a possible mechanism involved in tamoxifen resistance. 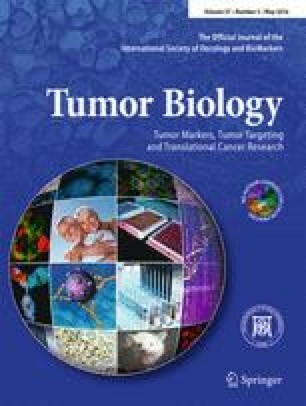 Since HER2/HER3 heterodimers are able to induce strong downstream signaling and activate various biological responses such as cellular proliferation and growth, we investigated the anti-cancer effect of metformin by inhibition of signaling pathway via downregulation of HER2 and HER3 using tamoxifen-resistant MCF-7 (TR MCF-7) cells. Compared to MCF-7 cells, TR MCF-7 cells showed increased expression of EGFR, HER2, and HER3, and metformin inhibited the expression of these proteins in a dose- and time-dependent manner. Metformin inhibited activation of HER2 (Tyr1248)/HER3 (Tyr1289)/Akt (Ser473) as well as cell proliferation and colony formation by estrogenic promotion in MCF-7 and TR MCF-7 cells. Known as a HER3 ligand, heregulin (HRG)-β1-induced phosphorylation of HER2, HER3 and Akt, and protein interaction of HER2/HER3 and colony formation were inhibited by metformin in both cells. Consistent with the results in the two cell lines, we identified that metformin inhibited HER2/HER3/Akt signaling axis activated by HRG-β1 using the HER2 and HER3-overexpressing breast cancer cell line SK-BR-3. Lastly, lapatinib-induced HER3 upregulation was significantly inhibited by treatment of metformin in HER3 siRNA-transfected TR MCF-7 cells. These data suggest that metformin might overcome tamoxifen resistance through the inhibition of expression and signaling of receptor tyrosine kinase HER2 and HER3. Jinkyoung Kim, Jiyun Lee and Chungyeul Kim contributed equally to this work. This research was supported by a grant of the Korea Health Industry Development Institute (KHIDI), funded by the Ministry of Health & Welfare (MOHW), Republic of Korea (grant number: A120392).